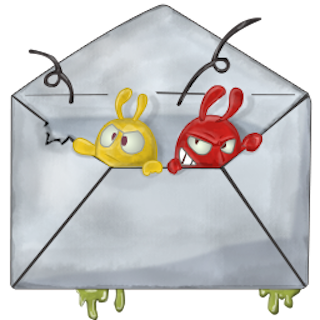 Email spam is unsolicited bulk email (UBE), a subset of electronic mail involving nearly identical messages sent to numerous recipients. Spam, also referred to as unsolicited commercial email, may include malware as scripts or other executable file attachments. It has steadily grown overtime, with networks of virus-infected computers, accounting for about 80% of spam worldwide. Google's spam filtering technology, albeit as effective as it is, still there are rare occasions a couple of spam messages get through to the inbox or a valid message is mistaken as spam. Hence, the launch of Postmaster Tools, to help enterprise users analyze email performance, and help Gmail route messages to the right place. Google Postmaster utilizes machine learning algorithm to enhance more effective email filtering, while improving through individual user experience. The Artificial Intelligence (AI) driven filter will learn through users reading habits and correspondingly reflect in their preferences when serving messages. With the changes, Google intends to tighten the leash on spam and make sure your messages ends up in the right folder.